Nicotine is just one of many substances found in tobacco and cigarettes that has the potential for harm. Studies on nicotine as an isolated substance have found it actually may have a positive effect on plant growth, while experiments using cigarette smoke have found it to have a detrimental effect. Nicotine has long been used as an organic pesticide and is very effective at deterring aphids, thrips and spider mites, according to Colorado State University. Gardeners may use commercial applications or steep loose nicotine in water overnight. No adverse effects to plants have been reported, although the pesticides are highly toxic to animals and people. Corn seed soaked in a nicotine solution germinated faster, showed greater vigor and was able to use water more efficiently, according to researchers at Rajendra Agricultural University in India. The researchers speculate that the nicotine acts as a stimulant on the seeds. Other studies have confirmed that nicotine may hasten seed germination. The question of whether nicotine affects plant growth has been the subject of numerous high school science projects. The most commonly found results of subjecting plants to cigarette smoke is that while plants may initially grow more quickly, they eventually languish and may even die. Cigarettes contain not only nicotine, but more than 4,000 other chemicals, such as carbon monoxide, arsenic, ammonia and butane. 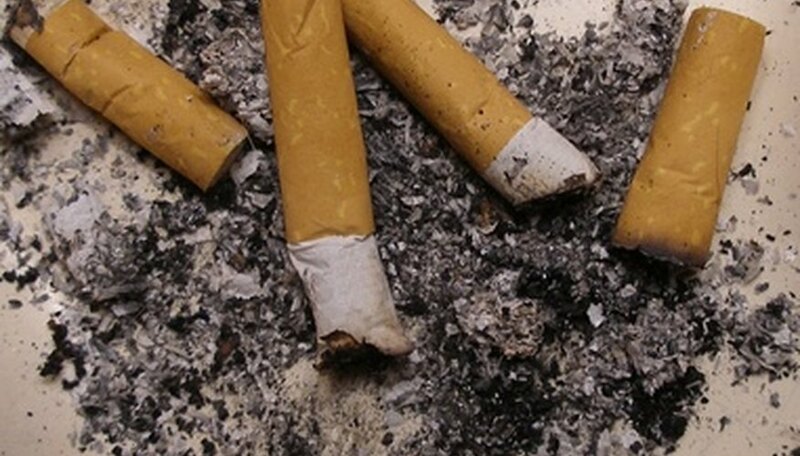 Perhaps some of the other chemicals in cigarettes affect the plant negatively. Cigarette smoke may adversely affect houseplants although the cause may not be nicotine, but other chemicals in the cigarettes. Protect plants by smoking outdoors or keeping the rooms well-ventilated. Run fans and limit plants' exposure to cigarette smoke. Nicotine is a highly toxic compound, capable of killing humans within an hour if a small amount is injected in the blood stream, according to the Canadian Lung Association. While nicotine pesticides are labeled organic, they are labeled "Danger." Choose safer pesticides such as BT or rotenone and follow directions carefully. Plant Bio: Cigarette Smoke Effects on Plants? The Lung Association: What's in Cigarettes?